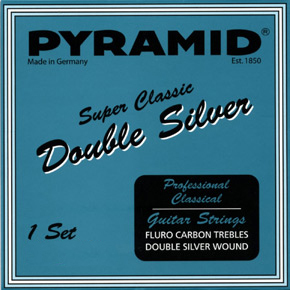 Pyramid has been able to decrease the stiffness with the Super Classics. It may be my guitar that is in need of a fret job, but the D string wore down in about 9 days and had to be replaced. Also over time the carbons are a bit metallic sounding, so, I would try these strings again, but for the price I'm not so sure now. I enjoy trying new strings, always a challenge to find the right balance. These strings to my ears and on my flamenco guitar, sound very even and the tonality is full, solid, not tubby bass or unclear trebles. My only caveat other than the price is that on my bass shy flamenco guitar I found myself wanting a tiny bit more oomph in the bottom end, so I put on a Royal Classics low E. Wow, very subtle change but these sound great. Next time I will try the extra hard tensions.